There are a lot of cookbooks emerging at the moment that concentrate on Eastern Mediterranean food. It’s a broad and interesting cuisine, shaped in large part by geography and the region’s position as the buffer between East and West. Nowhere is this more acute than in Turkey, whose largest city straddles continents, a foot in the east, a foot in the west, a place that is both distinctly Mediterranean and Middle Eastern at the same time, shaped by trade and tradition. But Turkey is a large and diverse country, and the parts of the country that face the Mediterranean have a rich food tradition that shares much in common with Greece, just across the Aegean Sea. There’s a preponderance of lamb, a dependence on olive oil instead of butter, lots of tomatoes … Mediterranean food with the creeping influence of the Levant, wonderful combinations of flavours and methods, based on good, local ingredients and simple preparation. , is a jaunt around eleven of the Aegean region’s best markets, showcasing the best food each has to offer. 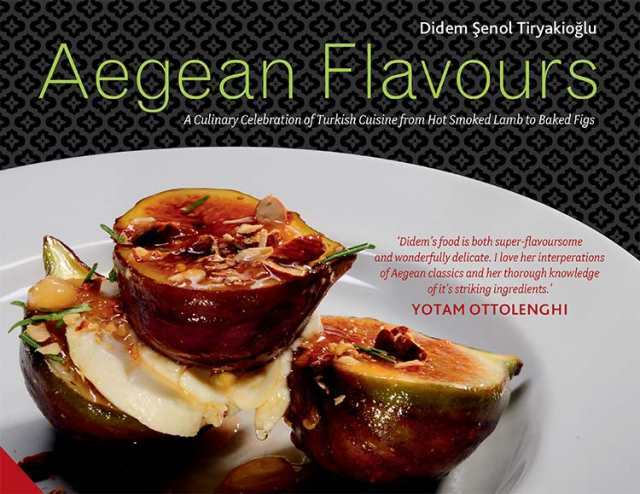 Part travelogue, part recipe book, Şenol’s book is a vibrant collection of regional recipes, many originating from her own restaurant and experience as a chef in both Turkey and the U.S. Her food is accessible and exciting, challenging and warming. There are recipes here for things as unusual as lamb’s brain alongside many other, more expected recipes for other parts of the same animal. The recipe that really caught my eye was one for octopus, cooked gently until tender, then quickly sautéed in chilli and fresh oregano, served on sourdough toast, a dish so essentially Mediterranean and yet exotic and demanding. is a little confusing at first, based entirely around individual towns and markets and their particular inspiration and produce, which means that desserts, for example, are scattered throughout the book and not collected together in one place. The first person narration of recipes is intended to give the test a personal edge, but it tends to grate after a while … “I boil the whole octopus for 2.5 hours …”. I don’t think I’ve ever seen the word ‘I’ used so much. That said, each of the recipes is clear and direct, with enough information and direction to allow anybody a fighting chance of recreating them at home. Get past these quibbles and you’re left with a wonderful little collection of recipes from a vibrant and exciting corner of the world, a collection well worth exploring. I’ve eaten twice in her restaurant in Istanbul. The food was nothing short of fantastic!